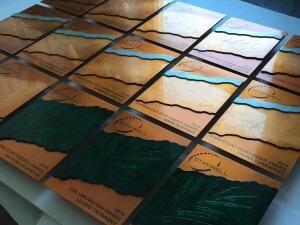 Most “custom” awards are simply your information engraved on a standardized product. 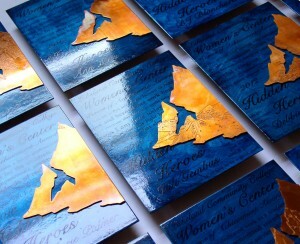 At Copper Leaf Studios, we believe your recognition gifts should reflect the values at the heart of your organization. Give a gift that is as special as the person receiving it. 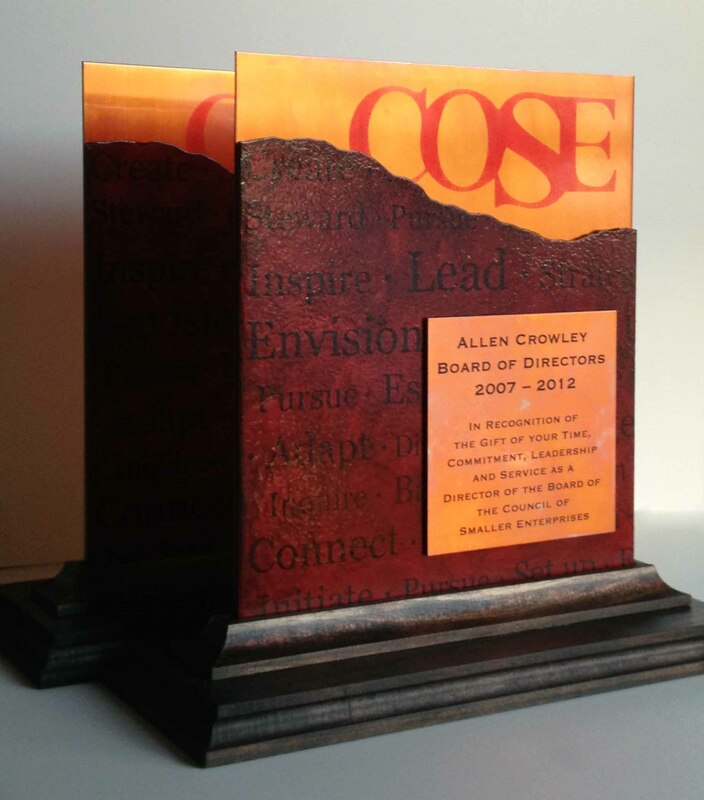 Custom corporate awards and recognition gifts are specially designed for your business or organization. 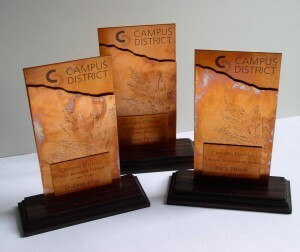 They are created with your aesthetic in mind — whether that is a traditional award style, or a customized piece of artwork based on your product or inspiration. 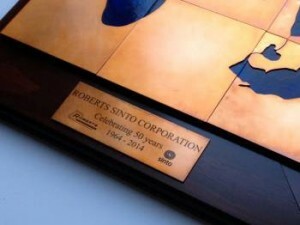 They can include your business name and logo, as well a recipient nameplate or dedication plaque. 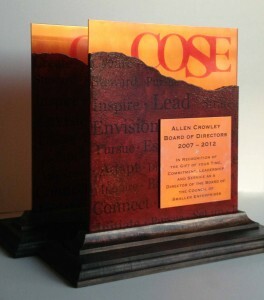 Choose from a ready-to-hang wall piece or a freestanding award. Contact us when you’re ready to start the process. You’ll be asked a few questions to get a feel for your needs, then you’ll receive a Photoshop sketch of possible designs along with pricing options. You’ll have an opportunity to make any changes, and when you’re happy with what you see, you’ll receive an invoice and we’ll get started.